The ‘John Cranko Schule’ is one of the most recognized ballet schools around the world. 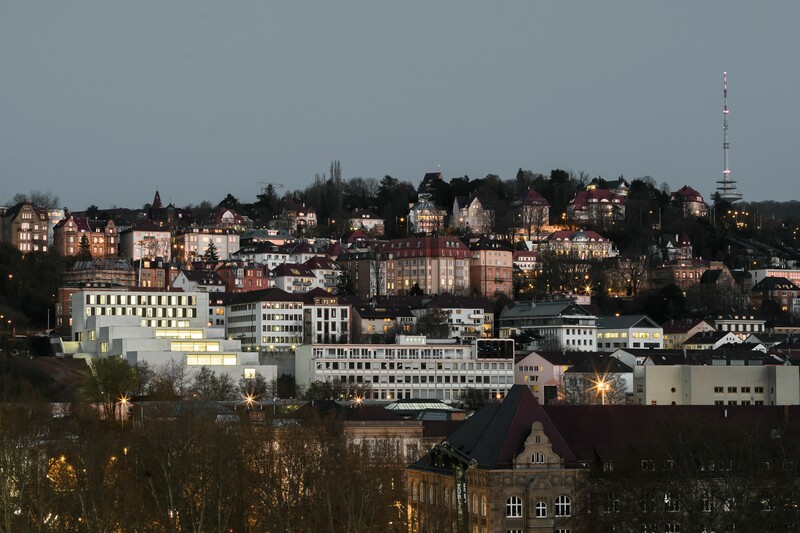 Its growing reputation and the increasing number of talented artists is strongly liked with the growing significance of the Stuttgart Ballet. In order to fulfill the increased spatial and architectural requirements, the new construction of the school has been initiate by means of an international architectural competition. 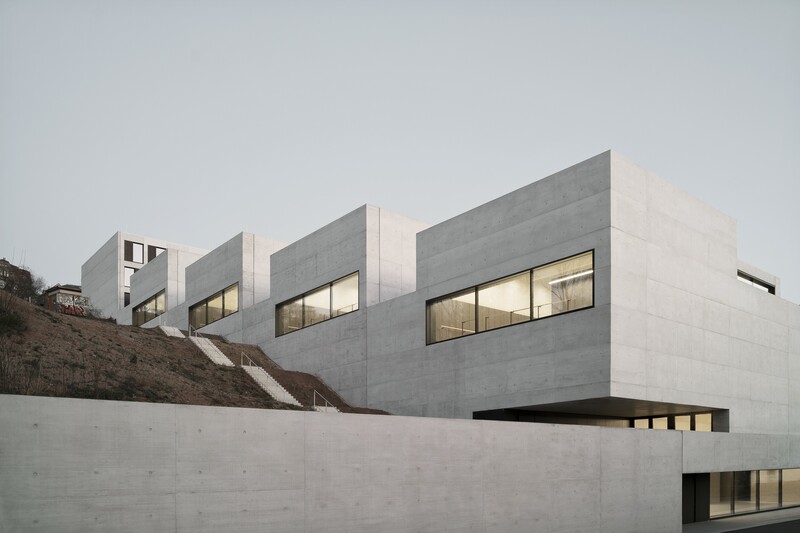 The winning architectural design by Burger Rudacs architects has proposed a terraced building with an exposed concrete façade, which responds purposeful to the hillside central urban planning situation, having a height difference of approx. 20 Meters. The structural system mainly consists of flat slabs, concrete cores, and intersecting reinforced concrete walls acting as deep beams with large spans up to 30 meters. High local support loads at the points of intersection are transferred by special steel-inserts. 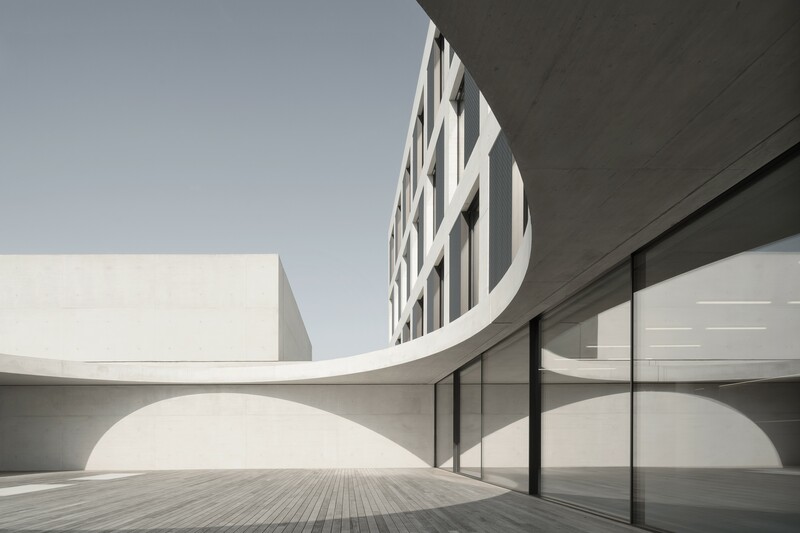 The complete building complex is realized without movement joints; the basement levels are executed as a watertight “white tank” concrete construction. It is supported by large diameter bored piles on four different foundation levels. 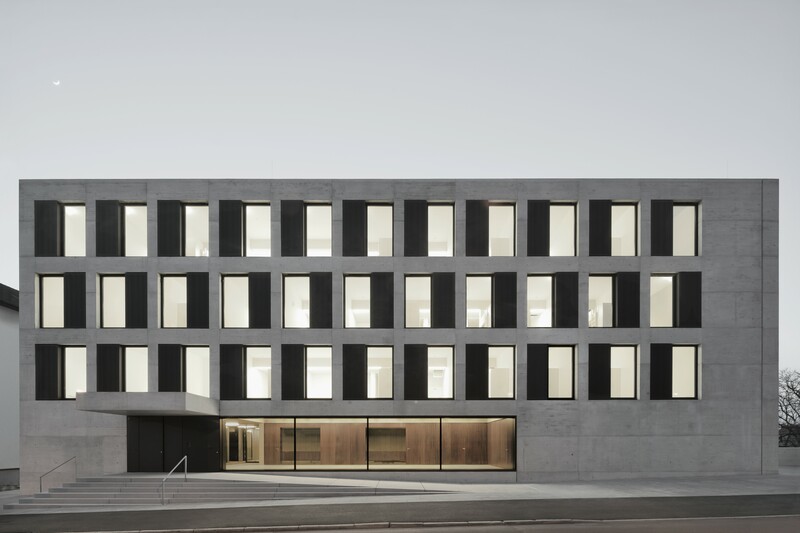 As a major architectural design element, the outer facade is realized with a cast-in-place exposed concrete surface with thermal insulation core.